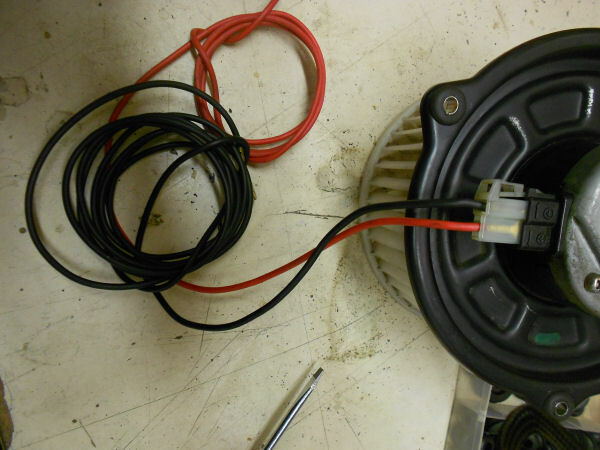 The stock Datsun 240Z heater blower motor does not do a great job of moving air. 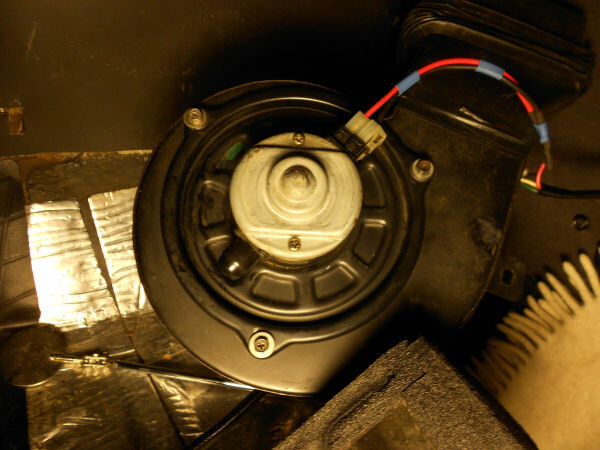 It is easy to replace the motor with a newer, more effective Honda blower motor. The results were indeed as impressive as I read on the Classic Z Cars Forum. The swap was very straightforward and the system now moves some real air. At the local Pick-a-Part I was able to find a heater blower motor from a 88-91 Honda Civic. In the images below, the stock Datsun motor is on the left, the Honda (white cage) is on the right. Despite what appears to be a much smaller blower cage assembly, the Honda blower moves WAY MORE air! 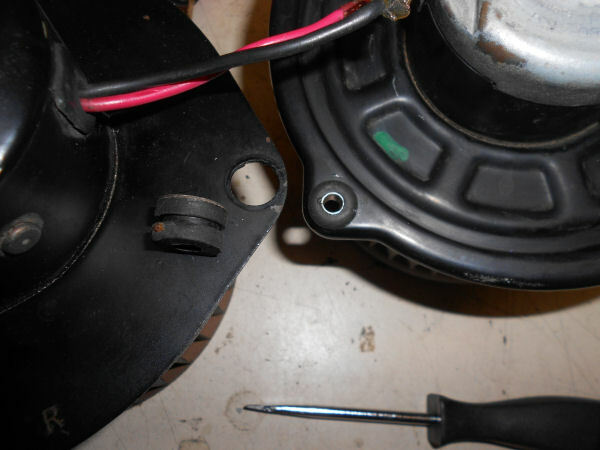 Also, the Honda mounting holes (Fig 4, on the right) are smaller and will not accept the grommet/bushing on the stock Datsun blower (on the left). The three mounting holes are in exactly the right spot, but they are just a bit smaller. There are three large rubber grommets (one shown laying on it’s side on the stock blower) with a steel bushing for mounting the blower to the housing. My guess is that this is to reduce transmission of vibration from the blower to the car body. I used a smaller, generic grommet that fit the existing Honda hole, and discovered that the steel bushing easily slid out of the original Datsun blower grommet. 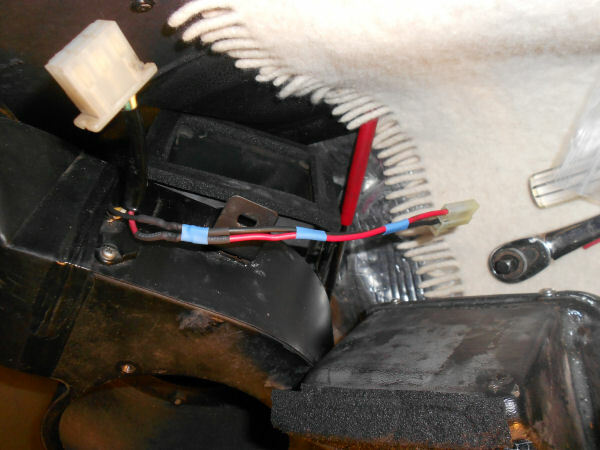 The bushing can be seen already inserted in the new grommet on the Honda blower (Fig 4., on the right). Here’s the whole thing wired and mounted into the blower cage (Fig. 5). It works crazy good.